A strong point of the “Made in Italy” industry that has made our country world famous, the renowned company Chelini has furnished the world’s finest and most exclusive residences for over a century with luxury italian furniture, the result of a scrupulous modelling study, an extreme attention to detail and decorations, carvings and finishes artfully made by skilled artisans. 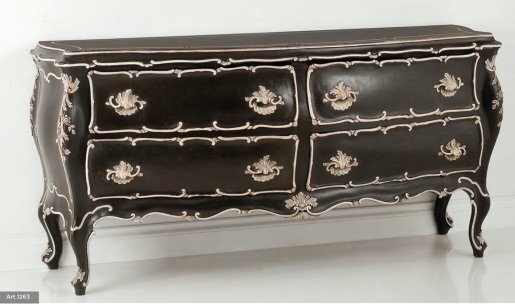 Crafting pieces of furniture is an art into which tradition, innovation, applied techniques and creativity blend. 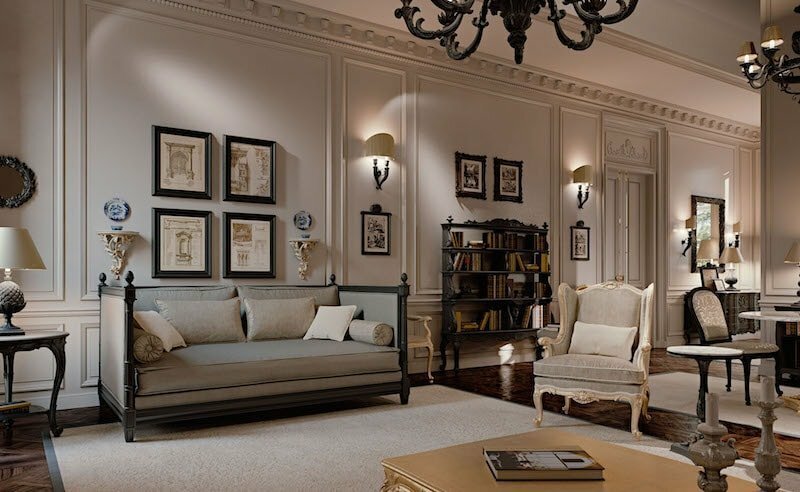 The history of prestigious brand Chelini, Italian excellence in the field of artisanal manufacturing of luxury furniture, is rooted in a land which is firmly linked to the world of art and antique furniture. Just like a tree absorbs its lifeblood from the soil in which it is rooted, in a similar way the marked creative sensibility, the originality and the high-quality that distinguish “Made in Italy” products get nourishment from the artistic environment of the Italian territory. The success at international level of the typically Italian savoir-faire in fact was made possible thanks to the artistic, historical and cultural tradition of our country, which enshrines an extremely rich artistic and cultural heritage. It is not without reason that Nicodemo Chelini started working as an engraver in 1898 in gorgeous Florence, which has always been considered the cradle of a priceless art and beauty heritage. 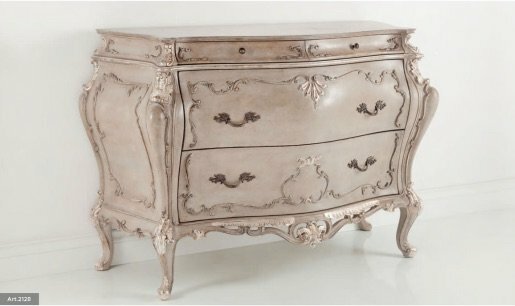 The long and productive path that has made the Florentine brand Chelini a benchmark in the field of Italian luxury furniture began in the Tuscan city in the late 19th century. Chelini, a historical company specialised in the art of carving, offers Italian furniture produced by rigorously following the manufacturing styles and techniques that, since the Renaissance, have made the Florentine workshops world famous while keeping a very close eye on technological innovation. Over the years, Chelini has succeeded in combining Italian traditional craftsmanship and its know-how with a modern and wide-ranging management, thus giving life to an exclusive 100% Italian brand that has successfully confronted a demanding, dynamic and advanced market. Maison Chelini, the symbol par excellence of the “Made in Italy” label at international level, enhances the potential of the elements from the Tuscan tradition by offering more and more sophisticated Italian luxury furniture lines and developing ad hoc solutions for exclusive style interiors. 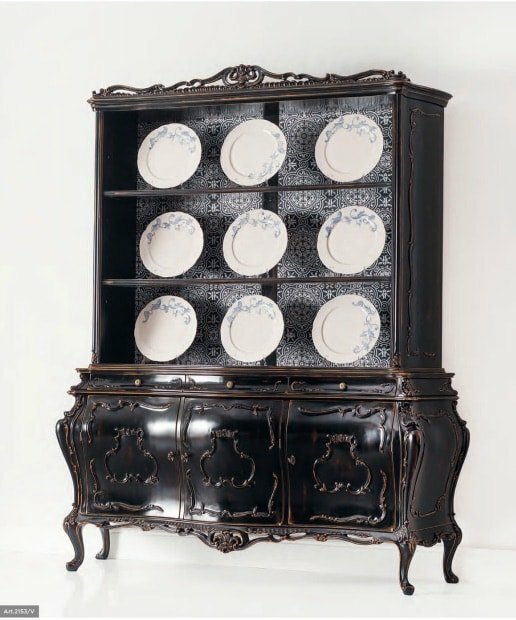 The Italian furnishings by Chelini, appreciated for their extraordinary refinement and the manufacturing techniques from the Tuscan handicraft tradition, are highly renowned at international level. 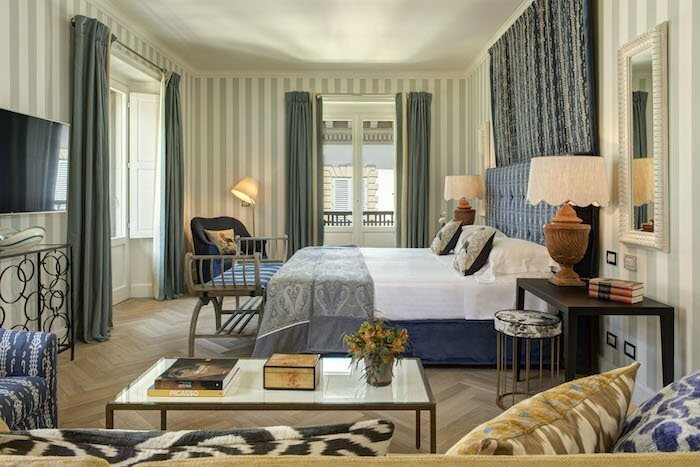 With its luxury, its classical elegance and its excellence, the brand Chelini, which is one of the first producers of Italian furniture in Italy, is a fully-fledged member of the hotel industry. The timeless charm of the Italian furniture by Chelini was indeed selected by the big names from the Horeca world, an acronym that stands for Hotel, Restaurant and Café. Maison Chelini’s typical touch permeates the most luxurious boutique hotels in Italy and all over the world, from the well-known Hotel Sacher in Vienna, to the San Clemente Palace in Venice, to the Hotel de Paris and the Hermitage in the Principality of Monaco, to the exclusive Andana Hotel in Castiglione della Pescaia, in the Province of Grosseto, which has become the leading light among the tourist attractions in the Maremma. The list goes on with the exclusive Relais Villa D’Amelia in Benevello, in the evocative setting of the Langhe, Piedmont, the Grand Hotel Imperiale on Lake Como, the Hotel Helvetia in Sestri Levante, Liguria, Palazzo Tornabuoni and the luxurious Hotel Savoy in Florence, which was recently reopened after a prestigious refurbishment. As a matter of fact, Chelini has put into practice the visionary ambition of the British poet, artist and politician William Morris of bringing handicraft and industry together and has had tremendous success at international level. Proof of this is the increasing number of architects, designers and interior decorators who choose Chelini’s rigorously Made in Italy furniture for villas, penthouses and private residences, but also for embassies, offices, hospitality facilities and representative offices of any kind and level, in Italy and all over the world. The interiors by Maison Chelini, excellence in the field of Italian furniture, are the most tangible proof that crafting interiors, pieces of furniture and furnishing accessories is, to this prestigious Florentine brand, a true art. 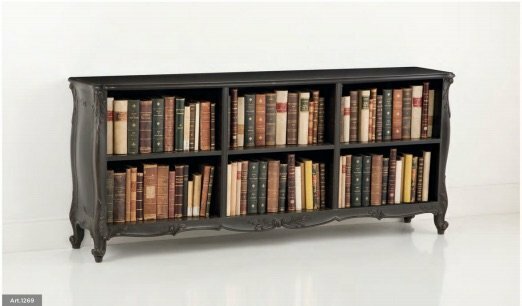 The luxury furniture by Chelini is the result of the knowledge acquired in over a century of experience in the field. The attention to the evolving market, which is more and more demanding and advanced, allows the Florentine Maison Chelini to predict trends and stimulate its connoisseurs’ creativity by skilfully combining art and modernity. A highly esteemed company within the field of Italian luxury furniture, Chelini offers Chelini Firenze, a wide, multifaceted and Fifties inspired collection featuring innovative solutions for every room of the house and total look furniture, from the lighting, to the sofas and chairs, to the beds, to the furnishing accessories. In this sophisticated collection with a strong personality, the leitmotiv connecting the classical and the contemporary can be seen in the choice of the materials, such as brass, the contemporary translation of gold, matched with richly and artisanally processed wood, as well as refined hides and fabrics, such as cotton, wool and velvet, with its charming natural colour effects. A meeting point of experience and research, the Chelini Firenze collection also conveys the will of the Florentine Maison to open to new profitable collaborations with the major exponents of the world of contemporary architecture, including the design studio Artefatto in London that has signed exclusive items from this collection such as the armchair Stout, the bed Atlas and the chairs Ipa. There is interesting news. A new branch branded Chelini, number one in the field of Made in Italy luxury furniture, was recently inaugurated. 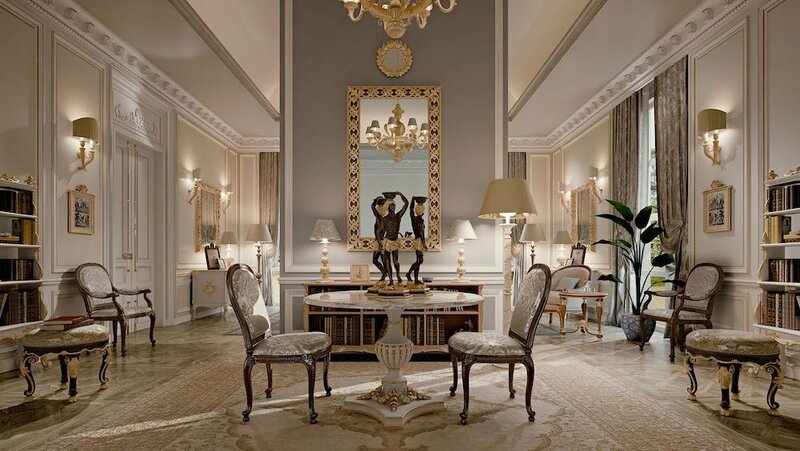 The prestigious Tuscan Maison has got a new branch and salesroom in Florence in viale del Poggio Imperiale, the same area in which the history of the Florentine corporation began. It’s a 500-square-metre space accessible to privates and companies as it was a shop, in which the exhibited products can be admired. 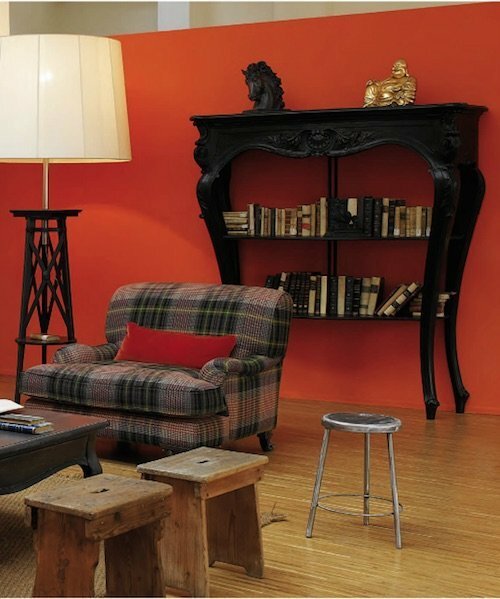 Let our extensive online catalogues of Italian furniture inspire you with luxury sofas, armchairs, tables, beds, dressing tables, console tables, desks, lamps and artisanal boiseries. You can rely on Chelini, the best market player in the field of interior decor.